Rabbi Jeremy Gordon’s piece So What Has Religion Got to Offer? reports on the events of the Windsor conference where representatives of the world’s religions met to discuss how to make faith more sustainable • In their interviews with world-class activists, Agi Erdos and Janet Levin talk to Nigel Savage and Naomi Tzur about fighting for a greener world in a Jewish context • Eco-initiatives is a short description of the major Jewish green organisations or projects • In Living Green: Building Bridges with Bricks, Judi Herman writes about her visit to Kibbutz Lotan is Israel. A timeline of Turkish Jewish history, from the Hellenistic period to the present day by Louis Fishman • Rescue and renewal: historian Jane S Gerber tells the story of the resettlement of Spanish Jews to the Ottoman Empire following the expulsion of 1492 • The Remarkable Señora of Istanbul by Vesna Domany Hardy is about a powerful woman who, after the death of her husband, settles in Istanbul and becomes an influential leader of the Jewish community there • Shabatai Zvi – Agi Erdos briefly recalls the life story of the kabbalistic false messiah and seeks the secret of his movement’s success. A Turkish heritage: Moris Farhi on the importance of storytelling in his own youth and for humankind • Culture and music: Karen Sarhon writes about the oral transmission of Turkish Jewish culture, of Judaeo-Spanish, which has become an endangered language, and the romansa – an epic poem that was part of the musical tradition brought by Spanish Jews to the Ottoman Empire • Jews and the Turkish carpet – Alex Felton looks at the role Jews played not only in the manufacture and sale of carpets, but also in design • Contemporary life: in a personal account of the Jewish community of today’s Turkey, Louis Fishman writes about synagogue life, emigration and antisemitism. Meeting the cultural leaders: Janet Levin visits Istanbul and meets the people who run the local Jewish paper, museum and other cultural establishments • The man who speaks out: Rifat Bali, the Turkish history professor analyses the antisemitism in today’s Turkey and the community’s responses to it • Outreach: Lina Filiba on teaching Turks about Judaism and the Jewish community of the country • For visitors: get all the useful information you will need for planning your trip to Jewish Turkey, from where to stay to where to eat kosher food. Reviews: A Matter of Size, Dancing Alfonso, Praying with Lior and Harlan: In the Shadow of the Jew Süss. Judi Herman visits the soon-to-open Holon Design Museum and talks to its designer, Ron Arad. Plus she meets Tel Aviv’s top graffiti artist (in Surrey) • Julia Weiner explores Topolski’s roots via the Topolski Century and his children’s memories. Abigail Wood reviews Klezmer Klub’s Whitechapel Mayn Vaytshepl. Ralph Dobrin writes about his experiences at Jerusalem’s Hadassah Hospital and its unique atmosphere, where ethnic differences disappear. A taste of Turkey: Karen Sarhon on the characteristics of Sephardi cooking and the favourite dishes of Turkish Jewish cuisine. Recipes feature spinach and cheese pie and beef kofte. Karen Sarhon explains how, beyond its original meaning, ‘kasher’ can also mean cheese and fish. Janet Levin talks to Dorset's Natasha Solomons, author of Mr Rosenblum’s List • Sandra Smith, the translator of Irène Némirovsky, talks to Janet Levin about the Némirovsky’s life and the controversial question of whether her portrayals of Jews are antisemitic • Book reviews: Chaim Potok's My Name is Asher Lev; The Night of the Burning by Linda Press Wulf; Future Tense by Jonathan Sacks; My Happiness Bears No Relation to Happiness by Adina Hoffman; plus Dan Senor and Saul Singer’s Start-Up Nation. Liz Cashdan chooses a poem by Teresa Turk and Turning the Key is reviewed by Miriam Kramer. An artist defies Hitler: Leda Eizenberg talks to German Jewish painter Katja Meirowsky as she celebrates her 90th birthday. Abigail Green explores the charitable activity of Sir Moses Montefiore; David Russell talks to Dame Hilary Blume and examines the attitudes to charity in rabbinic literature; plus Matthew Bishop and Michael Green see Jewish philanthropy as a model for other minorities. Jews in jazz: excerpts from Mike Gerber’s new book, Jazz Jews, about the role of Jews in the history of jazz; plus a review of the book by Lee Norman. Album reviews: Ralph Cohen looks at an unusual example of Jewish religious jazz from the 1960s and Malcolm Miller attends the launch of Yasmin Levy’s new CD. Judi Herman visits the newly renovated Jewish Museum. Timeline: an overview of Provencal Jewish history by Agi Erdos • The scholars of Provence: Chaim Weiner finds out who were the greatest medieval rabbis of the region • The Pope's Jews and their descendants: Jules B Farber discovers why the best-protected Jews in France were those who lived in papal lands • The war years: A story of Camp des Milles, the World War II internment camp in Provence, by Vesna Domany Hardy; and David Bernheim on the Alpine village of St Martin Vesubie which served as a temporary refuge in the war years. Plus Charlotte Salomon in Nice – Judi Herman tells the tragic story of the young artist who died in Auschwitz • Renaissance: Janet Levin and Vesna Domany Hardy find a reborn vitality • Finding common ground: Jews and other minorities live together in peace in the south of France • Marseille melting pot: Janet Levin looks at the backgrounds of the population of this multicultural city • Balagan in Cannes, Salamis in Nice: Linda Nissen Samuels visits two synagogues. A taste of Provence: Elizabeth Gabay looks at the Jewish history in Provençal cuisine and provides a recipe for ragout morue. Janet Levin talks to Marc Berdah, chef at the Aix-en-Provence Jewish Community Centre. And Jocelyne Akounof on La Cigale et La Fourmi guest house and the north African elements of the cuisine. Was Judeo-Provençal a separate language or just a phantom? Agi Erdos considers the evidence. David Baddiel talks to Judi Herman about his new comedy, The Infidel, in which a Muslim man discovers his Jewish roots. Angela Levine reports on the provocative new exhibition at Beit Hatfutsot, Judaic Twist: Innovations in Judaica Design. Plus see Dorothy Bohm’s photography in a new exhibition at the Manchester Art Gallery; and Estelle Lovatt introduces Picasso from a new angle, based on a forthcoming exhibition of his post-war works at Tate Liverpool. Agi Erdos meets Rebecca Goldstein, atheist author of 36 Arguments for the Existence of God. Book reviews: The Case for God by Karen Armstrong; Growing Up Absurd by Paul Goodman; Mourning and Celebration, a controversial and moving story of being gay in a 19th-century shtetl, by K David Brody; Koestler – The Indispensable Intellectual by Michael Scammell; The Escape of Sigmund Freud by David Cohen; World Cup Wishes by Eshkol Nevo; and David’s Story by Stig Dalager. Liz Cashdan picks poems by Robert Hirschfield and reviews A Small Gateway by Jude Rosen. Learn about a Jewish town crier in Dorset; see what happened at Moscow Limmud; find out about Illumination, the stunning new exhibition at the Jewish Museum; and meet Mark Andrews, Tilly Gifford and Dan Glass of Climate9, who have been on trial for the direct action they took at Aberdeen Airport. The debate on the rights and wrongs of the Israeli conflict risks tearing the community apart. Joel Braunold suggests how we can avoid demonising our opponents in Watch Your Language. Janet Levin meets Stephen Pollard, editor of The JC and finds out how he plans to meet the challenges of a falling traditional market and the trend away from buying newspapers. Learn more about the current state of the sometimes ferocious scholarly debate about who produced the Dead Sea Scrolls and the arguments of each side in this article by Samuel Warshaw. Jeremy Rosen looks into the history of getting a get and the agunah problem. Plus information on what to do if you need help on this issue. The story of Slovakia’s once thriving community; life through fascism and Communism to contemporary revival. An overview from Roman times to the fall of the Berlin Wall. Fighter for Orthodoxy: Charles Landau assesses the life and achievements of this towering figure of 19th-century rabbinic Judaism. Life on the run: Gertrud Friedmann tells a story of survival during World War II, a journey that took her family from Piestany, through Bratislava to Zelena, then to meet and work with the partisans in Banska Bystrica, and via mountains, forests and villages to Zvolen, where they found themselves living in the same house as SS officers. A story of remarkable ingenuity and fortitude. Monica Bohm-Duchen talks to top Canadian photographer Yuri Dojc, who has recently reconnected to his Slovak Jewish roots and produced remarkable images of a lost heritage. The first to reveal the truth about Auschwitz: the story of Alfred Wetzler and Rudolph Vrba who escaped from the extermination camp and reported its horrors to the outside world. Growing up Jewish in Communist Slovakia: Tanya Kernova, Alfred Wetzler’s daughter, and filmmaker Katya Krausova talk to Janet Levin about life and Jewish identity under Communism. 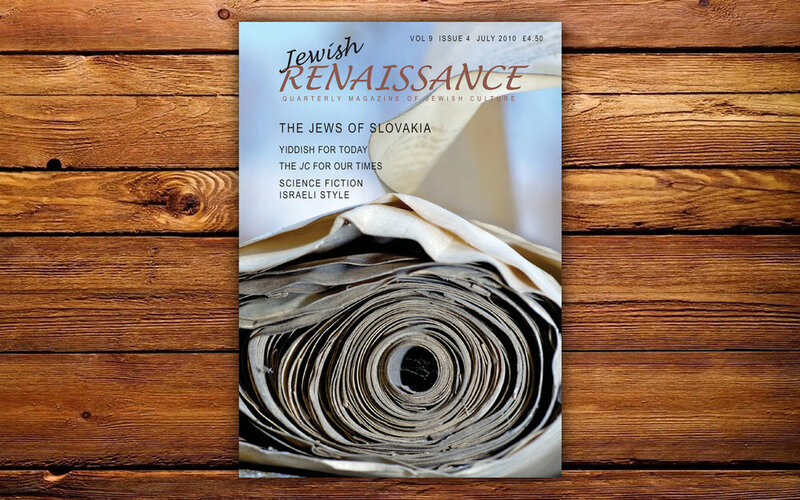 Emergin from the shadows: Peter Salner writes about the revival of Jewish life in the Bratislava community. Antisemitism now and rediscovering roots: Slovak Jews Luba Lesna and Pavol Matašeje rediscover their lost heritage. Chasidic song project: Rabbi Baruch Myers and Slovak cellist Jozef Luptak join forces to produce an unusual concert of chasidic music to commemorate the 400th birthday of the Baal Shem Tov. Chabad in Bratislavia: The Lubavitch follow their own vision of Jewish life. Janet Levin visits the Slovak Jewish Heritage Centre and hears about the dedication Maros Boršky and Jana Švantnerová put into conserving what remains. Plus an overview of the various scattered small communities and their activities. Emma Bondor reviews four films she saw at the Tel Aviv University film festival: Adi Azoulay’s Command, Yuval Shani’s Segal, Yvan Rabinovich’s Banana Monologues and Jonathan Geva’s 1:0. First language Yiddish, second Tamil: David Russell hears from Meena-Lifshe Viswanath about the remarkable Schaechter dynasty, a family where the parents would not speak English to their children. Plus a poem by Gitl Schaechter-Viswanath. Judi Herman talks to writer and comedian David Schneider about why he loves, and performs in, Yiddish. Harvey Widell meets American artists who perform Gilbert and Sullivan in Yiddish. Plus Jessica Jacoby sees the premiere of a film in which Montague and Capulet in Verona are replaced by Satmar and Chasid in Brooklyn. An exhibition of photographs, paintings and caricatures, giving a fresh view of Ben-Gurion, and iconic figure of Israeli history – appraised by Angela Levine. Malcolm Miller talks to Steven Leas, charismatic young chazan of the Central Synagogue in London, who started his career as a choir boy in South Africa. Judith Mirzoeff talks to Agnes Grunwald-Spier, a Holocaust survivor, who has published a book about people who saved Jews during the war. Book reviews: a new biography of Raoul Wallenberg; Jacob’s Cane by Elisa New; Jewish Refugees from Germany and Austria in Britain, 1933-1970 by Anthony Grenville; and My Grandfather’s False Teeth by Roberta Aarons. 2010: An Israeli Space Odyssey – sci-fi author Guy Hasson explains the explosion of science-fiction in Israel and looks at how far the themes of its authors are particularly Jewish or Israeli, including Lavie Tidhar, Ron Yaniv and Hasson himself. Liz Cashdan reviews Isaac Rosenberg: Student Guide Literary Series by Stephen Wilson and Centuries of Skin by Joanna Ezekiel. Plus see her choice of poems this month by Wendy Klein. Dovid Katz tells readers how to 'Talk of Love' in Yiddish. In a recent public lecture at JPR, Dr Edward Kessler discussed the attitude of the current Pope to Judaism and other non-Christian religions. The Jewish revival in Budapest has recently seen the opening of the Israeli Cultural Centre as well as a new-old synagogue. Reggie Pearlson of Kfar Hanassi writes about the changing kibbutz experience, her six children, the impact it had on them and why they have chosen their very different lifestyles. 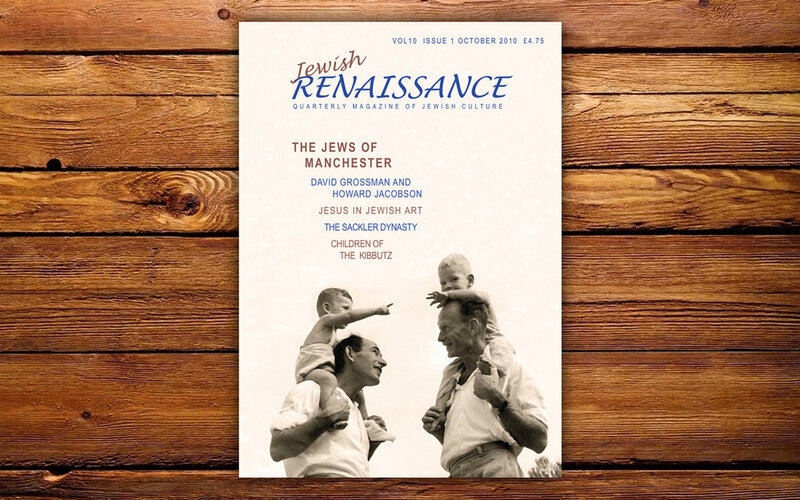 Historian Bill Williams sums up the history of Manchester’s Jews from the 18th century to the present in our informative timeline. Bill Williams discusses the Jewish trade unions and their strike activities. Manchester and the Balfour Declaration: a look at the role Weizmann and other Manchester Zionists played in the founding of the State of Israel. Philanthropist Abigail Lucas and Rebecca Sieff, founder of WIZO, were only two of the formidable women who dedicated their lives to serving the Jewish community. The first Jewish Book Week, held in Manchester in 1938, is described by Anne Webber, the organiser’s granddaughter. Writer Howard Jacobson and actor Bruce Myers warmly remember their Manchester childhoods in interviews with Judi Herman. Singer Elkie Brooks tells Agi Erdos about her grandfather's kosher bakery and her first steps on the road to stardom. Bill Williams pays tribute to Sir Sidney Hamburger, an inspirational figure in both city regeneration and community affairs; Janet Levin interviews Sir Howard Bernstein, chief executive of Manchester City Council and Braham Murray, director of the Royal Exchange Theatre. The community today: a glance at the North-South division and reasons for the influx of charedim to the city. Janet Levin talks to Manchester’s champion machers, Joy Wolfe and Lucille Cohen. The Sephardi story: Manchester's Sephardi community has a long history and is about to build a new synagogue. Jonny Wineberg tells Agi Erdos about the challenges facing the Manchester community with the emigration of young people. Alex Prinsley describes how she became President of JSoc and why she loves the society so much. Student Chaplain Rabbi YY Rubinstein tells Agi Erdos about the problems students bring him. An interfaith hub reveals the strength of Manchester's interfaith organisations and how they are making an impact on what the different communities, particularly its younger members, think about each other. Angela Levine visits the newly renovated Israel Museum in Jerusalem. Raquel Gilboa suggests that Jesus and the Crucifixion is part of the Jewish artist’s vocabulary. Maureen Kendler assesses the significance of portraits hanging in the National Portrait Gallery. David Russell talks to Elizabeth Sackler, who is continuing the tradition of her father and uncles. Deborah Brooks meets David Grossman to discuss his novel To the End of the Land. Tsila Ratner revisits Badenheim 1939 by Aharon Appelfeld. David Herman takes a look at what the critics have been saying about Howard Jacobson’s The Finkler Question. David Clark engages with The Language of Silence by Merilyn Moos. Book reviews: The Prime Ministers – Yehuda Avner’s memoir; Crossing Mandelbaum Gate by Kai Bird; In Ishmael’s House by Martin Gilbert; Diary of a Juvenile Delinquent by Steven Berkoff. The Assay by Yvonne Green and Cuba in the Blood by Wendy Klein. Plus Liz Cashdan chooses poems by Jennifer Langer. View from a think tank: Calev Ben-Dor describes life and work at the Reut Institute in Tel Aviv. The tale of a Jewish deli: Clarissa Hymantells the story of her grandfather who survived the famous disaster and then went on to establish Manchester’s first deli, Titanics. Howard Jacobson discusses the subtleties of the Yiddish spoken in Manchester. SOAS shows its esteem for Jewish studies; stars of Limmud – the Palestinian Awwad brothers; Ben Uri breaks new ground; and a European survey on antisemitism. Hindus and Jews and what they share: Gill and Hirsh Cashdan on their experiences of living in a Hindu home; Clive Lawton explains the similarities and differences of Jewish and Hindu theology, practice and traditions. David Rubin writes about his experiences of being gay and Jewish; he talks to Rabbi Hillel Athias-Robles and Rabbi Elizabeth Tikvah Sarah; and discusses the gay scene in Israel and provides a list of books and contacts. A timeline by Jack Lukeman. Zionism, Socialism and national socialism: Michael Brenner on Munich’s role in German and world Jewish history. Lion Feuchtwanger: The writer whom no-one took seriously. Munich my Heimat? Bea Green left Munich on the Kindertransport and returns for 9 November 2008. Growing up in post-war Munich: Ellen Presser tells of her experiences. Architectural masterpiece: Munich’s Ohel Jacob synagogue and new Jewish community centre. Queen of Jewish Germany: the story of Charlotte Knobloch. Nurturing the community: Jewish community life in Munich now. The youth leader: Ilya Krasnov. New libeskind shul in prospect: Munich’s Liberal congregation. The musical element: Malcolm Miller on Ben Haim’s oratorio and synagogue music – as performed in Munich November 2008. So, what's it like being a Jew in Germany? Novelist Lena Gorelik, Rachel Salamander of Literaturshandlung, Florian Gleibs of the restaurant Schmock, tour guide Chaim Eytan and lawyer Uri Siegel give their views. A museum that engages: Munich’s new Jewish Museum and the cartoons of Jordan B Gorfinkel. Surviving as a Soviet artist: Rachel Bayvel on Natan Altman. Julia Weiner talks to artist Roman Halter about his paintings in the Imperial War Museum exhibition Unspeakable and his more recent water colours. A new vision – the 1980s in Israeli art: Angela Levine on the work of such artists as Yitzhak Golombek, Motti Mizrachi and Moshe Gershuni. Golda Zafer-Smith on Holocaust related films shown at the UK Jewish Film Festival. Nathan Abrams gives a talk on the differences between Jewish film in Britain in the US and his audience express their views. Judi Herman talks to the Israeli creators of the shows Plonter and Dai. Book reviews: Houses of Life by Joachim Jacobs; The Lazarus Project by Aleksandar Hemon; Man in the White Sharkskin Suit, Lucette Lagnador’s memoir; memoirs by Irene Lawford-Hinrichsen, Cirla Lewis and Andrew Merkler; Out of the Shadows, François Maspero’s biography of Gerda Taro; and Then by Maurice Gleitzman. Liz Cashdan chooses poems by Sue Stern and Sue Schraer; plus a review of Fluttering Hands by Stephen Wilson. Yadin Romanon the Israel Trail. David Russell sends his last letter from the Lower East Side. Kneidlach and felafel in Munich: reviews of the city’s Jewish-style restaurants. Shalóm, shólem, shólem-aléykhem… Dovid Katz. The authors of two recent books lock swords. Dr Gavin Schaffer, author of Racial Science and British Society 1930-62 thinks we should not research Jewish genetic origins. Prof David Goldstein, author of Jacob’s Legacy: A genetic view of the Jewish people, vigorously rejects his argument. Prof David Weitzman traces the history of Jewish reactions to Darwin’s theory of evolution; and Maureen Kendler writes about attitudes to children throughout Jewish history with some surprising findings. Jack Lukeman outlines the history, starting with Jaffa’s early years, right up to the 2009 centenary. Memories: Miriam Brill writes about being a child in Tel Aviv in the years preceding independence. Neve Tzedek Judith Cooper-Weill writes about first Jewish settlement outside Jaffa’s walls and its recent gentrification. Tribute to a vanquished casino: Dror Burstein writes about the ‘Waves of Spring’ restaurant. White city: Gloria Deutsch on Tel Aviv’s Bauhaus architecture. Today's Tel Aviv: Janet Levin takes a Friday afternoon stroll. Mayor with a mission: A profile of Ron Huldai. Place/non-place: Dalia Manor on south Tel Aviv as seen by artists. My Tel Aviv: 30-somethings from different parts of the city give their views. The real Jaffa and a city for all its residents: Susan Loewenthal Lourenço writes about the city of Jaffa beyond what the tourist sees and how residents are starting to make their views felt. Historical museums of Tel Aviv: a selection of smaller museums. New music for a new nation: Tomer Lev on the rise and fall of the Mediterranean School. Please do touch! Deborah Freeman interviews director, actors and interpreters at the unique theatre company for the deaf-blind, Na Lagaat. Never mind the play, enjoy the audience: Tim Roseman on what is behind the amazing popularity of theatre in Tel Aviv. The dance explosion: Liora Malka Yellin suggests why the city’s dance companies are doing so well on the world stage. Fresh paint: Angela Levine visits an art fair designed to showcase Israel’s younger artists. Frank Meisler: Debby Elley on the Jaffa-based sculptor whose works are sought after the world over. Abigail Wood disentangles evidence and conjecture over music fo the Bible; plus Malcolm Miller on a concerto commissioned by Ben Woolf to tell the history of Belsize Square Synagogue. Mike Leigh and Arnold Wesker tell what Harold Pinter meant to them and Judi Herman talks to Pinter’s close friend, Henry Woolf. Golda Zafer-Smith talks to AB Yehoshua about his latest novel, Friendly Fire; and David Clark reviews the Jewish Book Week session Figuring the Human. Book reviews: Rhyming Life and Death by Amos Oz; God’s Elect by Frank Shapiro; Hebrew Writing of the First World War by Glenda Abramson; Valley of Strength by Shulamit Lapid; Songs for the Butcher’s Daughter by Peter Manseau; and Ausländer by Paul Dowswell. Liz Cashdan chooses poems by Lynette Craig and Barbara Saalfeld-Edwards. The chef's Tel Aviv: Janet Levin talks to celebrity Israel Aharoni about the new Israeli cuisine; plus a review of The Dining Hall. Tamar Drukker on the English army words now part of the Hebrew language. Is high-flying in high finance consistent with Jewish values? Property investor Bill Benjamin and Seth Freedman, ex-stockbroker and now a Guardian Israel reporter, put opposing points of view. Jeremy Rosen tells the story of the 17th-century business woman Glückel of Hameln. Jack Lukeman summarises Jewish life in Croatia from the Romans, through Hungarian, Hapsburg, Venetian, Ottoman dominance to Ustaša atrocities, Tito’s partisans and finally to the contemporary community. One woman's war: in extracts from her autobiography, Eva Grlic describes her experience of the year 1941. Artists galore: Croatian artists, Oscar Nemon, Oskar Herman, Rafael Talvi, Stella Skopal, Ivo Rein, Peter Weiss, Toni Franovic, Vera Dajht-Kralj, plus Alfred Pal profiled by Tomislav Zaja. And architects: Leo Hönigsberg, Julius Deutsch, Rudolph Lubinsky, Ignjat Fischer and Slavko Löwy – designers and builders of Zagreb’s distinctive skyline. 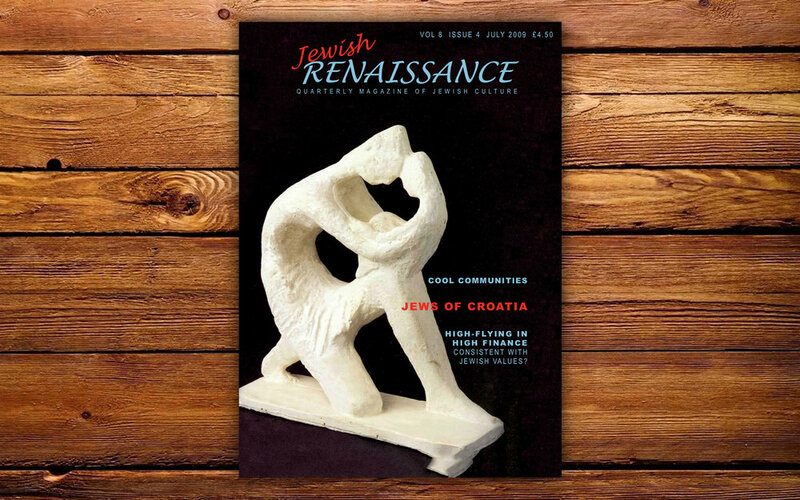 The community now: Vesna Domany Hardy describes the thriving cultural life of Croatia’s Jewish community now. Discover writers Mirko Mirkovic, Zora Dirnbach, Jasminka Domaš, Slavko Goldstein, Branko Polic and Ivo Goldstein. New spirit defies new borders: Vesna Domany Hardy joins a meeting of the communities of the former Yugoslavia and considers the impact of the wars of the 1990s. Fighting neo-fascism: the work of Slavko and Ivo Goldstein and the Margel Institute. Judi Herman talks to Brian Daniels who has celebrated the New End Theatre’s 35th birthday by bringing 12 shows to the Edinburgh Festival. Natalie Wood reviews Dr Korczak’s Example. Whitechapel reborn: Monica Bohm-Duchen visits the Gallery and David Russell the Idea Store. Kate Craddy on the Galicia Jewish Museum exhibition now at the London Jewish Cultural Centre. Julia Wiener gives background to the exhibition of Lipchitz drawings currently at the Ben Uri Gallery. Angela Levine talks to Micha Ullman, Israel’s prize laureate for sculpture. Rachel Bayvel tells the story of Anatoly Kaplan, the artist and illustrator of Sholom Aleichem stories who survived the Stalin years. Helen Beer on why Yiddish thrives in Paris. Avi Pitchon looks at the book of the film Waltz with Bashir and considers the cultural impact of the work in Israel. Book reviews: Belisario: Sketches of Character by Jackie Ranston; The Sea of Azov edited by Anne Joseph; Smugglers by Oyzer Warshavsky; Kahn & Engelman by Hans Eichner; and The Red Dress by Gaby Halberstam. George Gömöri celebrates the Hungarian poet Radnóti and Liz Cashdan chooses poems by Witold Henryk Gutt. Michele Klein on an innovative way of helping problem youngsters through business enterprise. Taste of Croatia: Vesna Domany Hardy on the country’s mix of Ashkenazi and Sephardi cuisine, with recipes for salmon on a bed of lemon and sholet eggs. Tamar S Drukker on Hebrew double words. Judi Herman interviews six teenage pupils who are active members of the Jewish community but go to multi-faith or Christian schools. Jeremy Williams reports on the King David School in Birmingham where Jewish children are in a minority and explores the views of non-Jewish parents of pupils there. David Russell, Ruth Deech, Jonathan Freedland and Dan Patterson reminisce about their Habonim years and the impact the movement had on their later lives. Janet Levin, Sir Arnold Wesker, Norman Lebrecht and others remember Jewish Renaissance’s favourite columnist, Golda Zafer-Smith, who tragically passed away this summer. Is he evil incarnate or just a little mischievous? Looking at what our texts have to say about Satan, Maureen Kendler’s intriguing piece explores the character and role of God’s eternal challenger in the Jewish tradition. Agi Erdos draws up the timeline for an unusually peaceful Jewish history, starting with medieval money-lenders, through a 19th-century influx of East European immigrants to the current dwindling of the Welsh Jewish community. The day Dr Herzl came to Cardiff: Simon Crammer tells the story of the Zionist prophet’s first visit to Wales and his encounter with local communal leaders. Packmen and miners: Michael Wallach remembers the hard-working Jewish pedlars and miners of rural Wales. Riots: a glimpse at the single dark moment in Welsh-Jewish history, the 1911 riots in the mining valleys of South Wales. My Llanelli: excerpts from Channah Hirsch’s charming book about her memories as a young girl growing up in a strictly observant family in a small Welsh village. Post-war Llanelli and its most famous son: former Conservative party leader and minister Michael Howard grew up in Llanelli and has always been proud of his Jewish background. 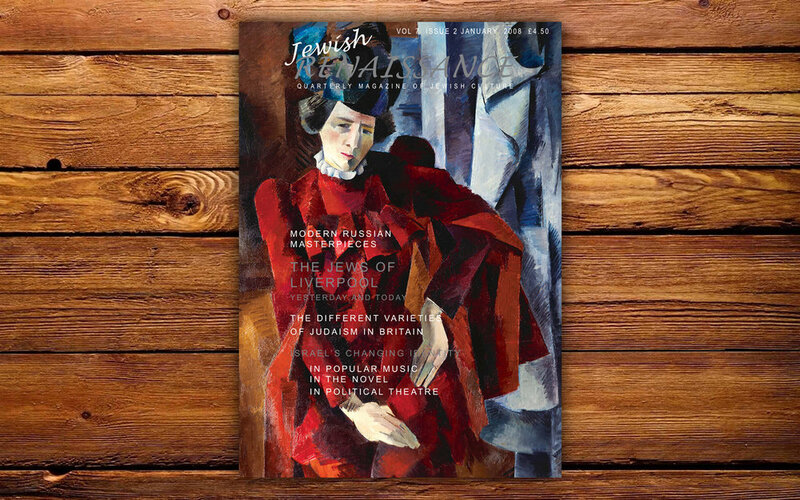 A place that answers your belonging: Monica Bohm-Duchen writes about the Welsh years of Polish-Jewish artist Josef Herman. Painting in Wales: Heinz Koppel, Philip Sutton and Rhoda Hodes – artists from around the world who settled in Wales. The Welsh and the Jews: Jan Morris describes what she thinks are the similarities between these two ethnic groups she has so much affection for. Dannie Abse: Judi Herman’s portrait of the still youthful doctor poet. A tale of two shuls: Cardiff’s two communities – the Orthodox and the Reform – and how they get on with each other. Mine host: Janet Levin discovers Jewish innkeepers and hoteliers in Wales. A taste of Wales: Ruth Joseph recommends some heart-warming traditional dishes for the chilly winter months, like leek and potato soup and Welsh cakes. Judi Herman talks to the organisers of the UK Jewish Film Festival as they prepare their 2009 programme. Anthony Wilkinson profiles the great Israeli viola player, Rivka Golani, who will be performing at the Wimbledon Music Festival. Malcolm Miller recommends a CD of Jewish music with a Caribbean flavour from Cantorial Curaçao. Barry Davis looks at the new English translations of three novels by Sholem Aleichem. Book reviews: Born to Kvetch by Michael Wex; The Thoughtful Dresser by Linda Grant; Jewish Pirates of the Caribbean by Edward Kritzler; Driven to Innovate: A Century of Jewish Mathematicians and Physicists by Ioan James; and Message in a Bottle by Valerie Zenatti. Liz Cashdan chooses poems by Georgia Varvas and Wanda Barford. Plus a review of Robert Friend’s English translation of Flowers of Perhaps by Ra’hel. Vivienne Tankus talks about her experiences as a teacher at a school in Zichron Yaakov. Plus Naomi Meshasha in Netanya, who is a college student helping underprivileged Ethiopian pupils build a better future for themselves. Tamar S Drukker takes a look at expressions and words that are unique to Hebrew. A report on the JR trip to China, an account of a Sabbath spent in Tehran and the boost to Jewish tourism in Germany. A milkman's insight: Elkan Presman sets out the essentials of the different varieties of Judaism practised in Britain. Golda Zafer-Smith talks to actors Clive Swift (famous as Hyacinth Bucket’s husband), David Swift (Henry Davenport in Drop the Dead Donkey) and Paula Jacobs, on the road from their Liverpool childhood to stage and screen. Celebrating Liverpool’s year as European City of Culture. Jack Lukeman summarises the history of the community. Behind abrbed wire: Claus Moser on his experiences at the Huyton internment Camp. Memorable contributions: the Samuels family – from watchmaker to High Commissioner; the Lewis family, founder of stores for the people; rabbis, conventional and eccentric and a roll call of other distinguished Liverpudlians. At the Adelphi: an exclusive extract from Norma Cohen’s hilarious upcoming novel 1956: Saying Goodbye. Growing up in Liverpool: Jennifer Henley, Edwina Currie and Linda Grant write about what the city means to them. Architectural gems: Sharman Kadish on the exceptional qualities of the Princes Road and Greenbank synagogues. View from the sixth form: Nathan Blank and Tilly Rosenblatt, students at King David High School, talk to Janet Levin about their school and their city. Jewish education in Liverpool: Tte journey from the Hebrew School in Hope Place to the state of the art new King David development planned for 2009. A binding force: Michael Swerdlow on the history of Harold House, a very special youth club. Schicken soup and scouse: Norma Cohen reviews the film on the Liverpool Jewish community by Michael Swerdlow and Arnold Lewis. Neighbourly views: how the community is seen by Laura Finn, Janette Porter and Louise O’Brien. Three sisters of Merseyside: Diane Samuels talks to Judi Herman about Three Sisters of Hope Street, the play she has written with Tracy-Ann Oberman that sets Chekov’s masterpiece in the post-War Liverpool Jewish community. Stepping forward with confidence: Michael Swerdlowwith an upbeat view of the city and the community. View from a granddaughter: Naama Eliraz. ART Judy Bermant’s personal view of her husband Chaim Bermant, a much-loved columnist who was also the British Jewish community’s "Licensed Heretic". Plus Monica Bohm-Duchenon the work of early 20th century Russian Jewish artists being exhibited in Amsterdam. Israel's identity and the arts: marking Israel’s 60th birthday, how Israel’s changing identity is reflected in the arts. Tsila Ratner on developments in the Israeli Novel. Abigail Wood on developments in popular music in Israel. Anne Joseph sees award-winning shorts by students of the Department of Film and Television at Tel Aviv University. Samuel Warshaw samples powerful Israeli drama by Tamir Greenburg, Ilan Hatsor and Taher Najibat London’s National Theatre. Richard Jaffa on Magnolia Street, Louis Golding’s novel set in the North of England. Maureen Kendler on the British-Jewish novel of the 1970s/80s, featuring the work of Frederic Raphael, Jack Rosenthal, Howard Jacobson and Anita Brookner. Michael Berkovitz on how effective the crime novel can be in illuminating the past, with particular reference to Philip Kerr’sBerlin Noir trilogy. Book reviews: Eshkol Nevo’s prize-winning first novel Homesick; Sandra Levi’s Rites and Wrongs based on her own Manchester childhood; The Seventh Well by Fred Wander; Refusal by Soazig Aaron; Hana’s Suitcase; Ilana Tahan’s Hebrew Manuscripts; and David Rubinger’s autobiography Israel Through My Lens. Liz Cashdan reviews Lotte Kramer’s new collection: Kindertransport, Before and After: Elegy and Celebration. Plus poems by Lotte Kramer and Sue Stern. Keeping kosher in China: Gloria Deutsch. One bage, two bagel, three bagel… Dovid Katz. Susan Lowenthal-Lourenço talks to pupils and teachers at the Jerusalem Hand in Hand bilingual school where Arab and Israeli children learn together. Judi Herman interviews Ali Abu Awwad and Robi Damelin about the Parents Circle - Families Forum where relatives of those killed in the conflict work together for peace. A sample of other projects where Arabs and Jews work together to promote mutual understanding and respect. Bryan Schwartz explores the strong and often surprising links between the holy writings of ancient Jewish tradition and comic books. Nadav Keller summarises the history of the village, founded in 1878. Baron Edmund de Rothschild: the benefactor who made mistakes. A Rosh Pinah childhood: Shoshana Sharkey on growing up in the 40s. Stories of the villagers: Nitza Felix talks to Nili Friedman, Avi Keller and Rebecca Gottfried and hears stories of the pioneers. Yehoshua Ben Aria: the rebel who became a community leader. A school to lead the world: the first school to teach everything in Hebrew – which also taught astronomy and gardening. Arab neighbours – what happened? Janet Levin draws on villagers’ memories and historians’ accounts. Restoration and renaissance: Nitza Felix talks to Joram Meiri and Maimon Abuktar about how the villagers’ took their future into their own hands. For visitors: things to see and do and places to stay and to eat. New York correspondent David Russell ranges from the Red Rabbi to Orthox boxer Salita; and Barbara Epstein on how Community Advocacy empowers the disadvantaged of Israel. Malcolm Miller surveys the development of classical music in Israel and explains how composers have arrived at a style in tune with the country’s contemporary pluralistic identity and its political reality. A review by Malcolm Miller of the 15 Passover Songs on Yehezkel Braun’s CD Choral Works. Eli Abt looks at one page of the Barcelona Haggadah to discover much about its patron and his times. Ruth Taylor Jacobson describes the experience of exhibiting her works in Siegen in Germany. Angela Levine visits the Retrospective of the internationally successful Israeli sculptor Dani Karavan. Rachel Dickson and Sarah MacDougall on the Ben Uri exhibition which highlights the artistic work of Isaac Rosenberg side by side with the work of his fellow ‘Whitechapel Boys’ including David Bomberg, Gertler and Kramer. Nicholas de Lange talks to Golda Zafer-Smith about the work of SY Yizhar about his relationship with Amos Oz and about the joys and challenges of the process of translation. Plus a summary of the life of SY Yizhar, “the greatest Hebrew poet of Israel’s landscape". Quotes from Israeli academics: Shlomo Avineri, Menahem Brinker and Hannah Naveh at the session ‘Heroes and Anti-Heroes’, Jewish Book Week 2008. Book reviews: Exodus; Let It Be Morning by Sayed Kashua; Talking to the Enemy by Avner Mandelman; Beaufort by Ron Leshem; A History of Modern Israel by Colin Shindler; All the Sad Young Literary Men by Keith Gessen; Dealing with Satan by Ladislaus Löb; Kasztner’s Train by Anna Porter; The Rowing Lesson by Anne Landsman; and Lindmann by Frederic Raphael. Collections by Adam Taylor, Joanna Ezekiel and Penny Feinstein. Plus Liz Cashdan selects poems by Theresa Turk and Barbara Saalfeld-Edwards. Pesach in Israel: Melody Amsel-Arieli talks to four women with backgrounds in Algeria, Bessarabia, Kurdish Iraq and Morocco about their Pesach cuisine. Tamar Drukker on how new words are created in an ancient language. Sir Jonathan Sacks responds to a challenge to his condemnation of multiculturalism in The Home We Build Together. Golda Zafer-Smith talks to former MP Oona King about her family background and her Jewish and Black identities. Michael Alpert summarises Spain’s Jewish history from Roman times to the present. The Golden Age: Marion Nina Amber celebrates a period when “coexistence was a fact of life”. Music and poetry: Judith Cohen on the Jewish musicians, minstrels and poets of medieval Spain. Poet and general: Menashe Tahan on the extraordinary multi-talented HaNagid. Inquisition: Michael Alpert tells the history of the terror which affected thousands of lives. Conversos on trial: David Gitlitz and Linda Davidson unearth personal stories from Inquisition records. Catholic Jews: Myrna Katz Frommer and Harvey Frommer on a community in Mallorca which retains a direct link with the Jews of Medieval Spain. Jews in the Spanish Civil War: Ross Bradshaw shows the significance of the Jewish contribution. Whose heritage? Janet Levin talks to Dominique Tomasov Blinder about her campaign to put the Jewish voice into heritage conservation decisions in Barcelona. The tale of one city: Lyn Julius hears about Valencia’s Jewish past and meets Alba Toscano, the leader of its newest congregation. On the Costa Del Sol: Radio star Maurice Boland and the Marbella Beth El synagogue. For visitors: places to see and sources of information. View from an atheist – Carolyn Weiniger. David Russellon Jewish involvement in helping survivors in Rwanda. Interviews with Katy Lipson and Giles Rowe, creators of Turkish Delight the Opera and Lionel Goldstein, author of Halpern and Johnson and previews of The Arab, the Jew and the Chicken by Conflict Relief and the Buxton Festival Samson. Abigail Woodon how music is breaking barriers between diverse neighbours in the city of Jerusalem. Judi Herman on the Ben Uri exhibition, Through Teddy’s Eyes. Angela Levine views the exhibition of contemporary art at the Israel Museum. Rachel Bayvel discovers the long-hidden work of the Russian painter Yehuda Pen, who was a teacher of Chagall. BOOKS Beverley Cohen talks to Jennifer Langer, founder of Exiled Writers Ink with Predrag Finci from Bosnia and Bart Wolffe from Zimbabwe. Maureen Kendler looks at diaspora writers’ ambivalence towards Israel. Book reviews: If Salt Has Memory edited by Jennifer Langer; Reluctant Refuge edited by Edie Friedman and Reva Kein; SY Agnon’s Only Yesterday; Credit Draper by J David Simons; Dance to Your Daddy by Gail Levy; Barbarism & Civilization: A History of Europe In Our Time by Bernard Wasserstein; Hitler’s Empire: Nazi Rule in Occupied Europe by Mark Mazower; Double or Nothing by Raymond Federman; Auschwitzby Angela by Morgan Cutler; The Last Jews of Kerala by Edna Fernandes; Jewish Heritage in Gibraltar by Sharman Kadish; and Alice Hoffman’s Incantation. Liz Cashdan reviews collections by Arnold Wesker and Rhoda Hodes and selects poems by Stephen Wilson and Carol Burns. A taste of Spain: Spanish Jewish cooking, ancient and modern recipes from A Drizzle of Honey by David Gitlitz and Linda Davidson and New Flavours of the Jewish Table by Denise Phillips. How Español became Ladino – Michael Alpert. Daniel Gordonfinds out how Chasid and Pole are getting along, this time in Stamford Hill. Sonya Leff tells of the achievements of the Dutch doctor Aletta Jacobs and Hungarian activist Rozika Schwimmer. 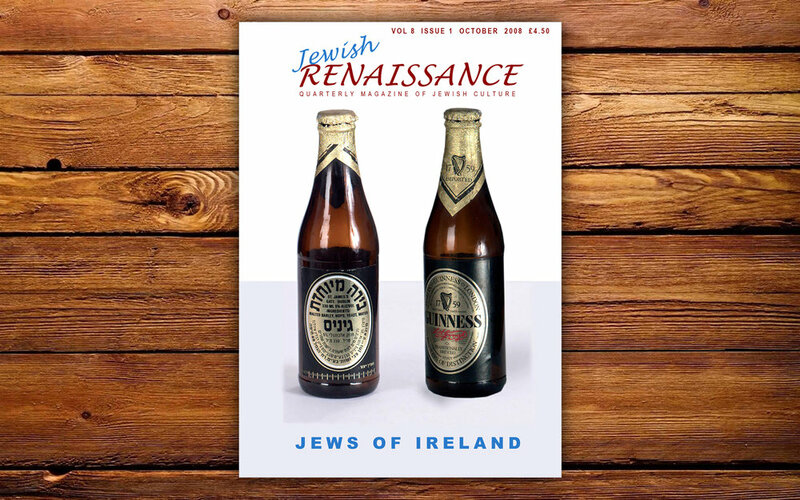 Ray Rivlin tells the history of the Jews in Ireland from the Middle Ages. Dublin and its personalities: Ray Rivlin on life on Dublin’s Clanbrassil Street in Dublin and its 'Robin Hood', Baila Ehrlich. Political Dublin: The Jews and The Troubles, Bob Briscoe and other politicians. Was Leopold Bloom a Dublin Jew? Cormack O’Grada tells of his doubts. Teenage life in the 1950s: Beatrice Sofaer-Bennett. Ireland and its Jews: Marilyn Taylor, Geoffrey Wigoder and Asher Benson. In Dublin now: Janet Levin talks to Rabbi Zalman Lent. A museum with soul: the Irish Jewish Museum. Up north: Brian Robinson pays a nostalgic visit to Belfast. Wartime kibbutz: a refuge in the Ards for Kindertransport children. Out west: Janet Levin meets Fred Rosehill in Cork and Len Lipitch and Rich Gostyn in Schull. There is nothing like this dame: Golda Zafer-Smith talks to Baroness Julia Neuberger about being part-time Rabbi of West Cork. Fact file: addresses and books. Plus the herzogs and other rabbis; artist Harry Kernoff; and Janet Levin talks to Ireland's first Jewish festival founder Janusz Flakus. Gali Gold, artistic director of the UK Jewish Film Festival, on recent developments in Israel’s cinema. Judi Herman reports on her meeting with eccentric artist Robert Lenkiewicz, whose self-portraits are the subject of a Ben Uri exhibition. David Clark on Silent Messengers at Westminster Synagogue and Liz Cashdan on The Journey at Beth Shalom. Malcolm Miller talks to Michael Wolpe, creator of the Sounds of the Desert Festival on how he brings together classical and popular music. Plus Geoffrey Álvarez on the composer Aleksander Tansman. Helga Abraham meets Erri de Lucca, the prize-winning Italian writer who translates from Hebrew and Yiddish. Book reviews: Strange Ways by Rokhl Faygenberg; Tales of the Ten Lost Tribes by Tamar Yellin; The Final Reckoning by Sam Bourne; Prisoners by Jeffrey Goldberg; Checkpoint by Lisa Saffron; Jewish Parliamentarians by Greville Janner and Derek Taylor; The Believers by Zoe Heller; Indignation by Philip Roth; The Bagel: The Surprising History of a Modest Bread by Maria Balinska; Bread: A Slice of History by John Marchant, Bryan Reuben and Joan Alcock; Torah For Teens by Jeffrey M Cohen. Michael Baron pays a tribute to Mahmoud Darwish, the Palestinian poet. Plus Liz Cashdan chooses a series of poems by Deborah Freeman. Gloria Deutschon the changing faces on Israel’s TV. David Russell takes the political pulse in shul and on campus. Irish Yiddish by Asher Benson and Marilyn Taylor. News on the Duffield projects for JCC in London and grants for activities elswehere in UK. Plus Jewish Book Week and the new Encyclopedia Judaicaedition. Miriam Margolyes reveals more than she ever has before. Elisabeth Maxwell talks about the new Holocaust commemoration project she is undertaking with her grandson and tells the history of her involvement with this subjects. Golda Zafer-Smith writes about the heroic children’s champion Korczak. Taniya Hussain writes with warmth and enthusiasm about attending a rabbi’s ordination. Cultural contributions: poet Daniel Lopez Laguna, artist Isaac Belissario and the Gleaner newspaper. Wartime Refugees. The story of Gibraltar Camp. The community today: how a community of around 200 manages to survive. The art of Anna Ruth Henriques: the work of an artist who speaks for all the diasporas of Jamaica. The diaspora: loyal Jamaican Jews, black and white. Lawrence Joffe reviews Blue Suede Jews and Mosaic. Menachem Wiesenberg on his new work for classical and klezmer violin. Malcolm Miller reviews an evening of music and drama at Bevis Marks and also tells of how composers have combined Jewish themes with British life from 1700s till today. Plus Peter Falush on the history of Halévy and la Juive and its composer. Estelle Lovatt on the paintings of Martin Bloch. Monica Bohm-Duchen considers the work of her mother, photographer Dorothy Bohm. And Rembrandt's Jews: Angela Levine visits the Amsterdam Exhibition which challenges a myth. Judi Herman talks to controversial Israeli film-maker Amos Gitai. David Herman on Saul Bellow’s breakthrough work The Adventures of Augi March. Book reviews: Missing Kissinger by Etgar Keret; Unused Language by Jennifer Wingate; The Violin Loverel by Susan Glickman; Treasures of Jewish Heritage: The Jewish Museum London and Jewish Heritage in England – An Architectural Guide by Sharman Kadish; Mackerel at Midnight, Ethel Hofman’s story of her Shetland childhood; and Mendel’s Daughter by Martin Lemelman. Liz Cashdan chooses Against the Odds by Penny Feinstein and reviews a collection by Ruth Fainlight. Marge Clouts reviews Prague Winter by Gerda Mayer. A taste of Jamaica: Marilyn Delevante. Avinoam Shiran on his late son. A troublesome translation – Michael Gillis. Deborah Freeman reports on a ‘Show and Tell’ afternoon; Taniya Hussain attends a Jewish-Muslim study day; Janet Levin talks to Amineh Ahmed Hoti, director of the new Centre for the Study of Muslim-Jewish Relations. Golda Zafer-Smith talks to the Torah scholar Avivah Zornberg, who brings Freud, literature and philosophy to Torah study - and argues for more diverse opportunities for the Orthodox. Cecil Bloom on the unexpected origins of the Israeli national anthem. Geoffrey Ben-Nathan on the Judaic tradition that lingers on. Jack Lukeman with the history of the Beta Israel. Religious practice: Alexander Knapp on the traditional ways Pesach in Ethiopia and Sigd in Jerusalem. The Promised Land: Joanna Newman on the situation of the community in Israel now. Musical traditions: Alexander Knapp on the liturgical music of the Beta Israel and modern Israeli interpretations of the Ethiopian tradition. The Maharis: Melody Amsel-Arieli talks to a Beersheba family about how they have adapted to Israeli life and goes to the wedding of the eldest daughter. Find out more: a selected reading list. Still waiting: Barbara Ribakove Gordon on the plight of the Jews who still remain in Ethiopia. Heather Valencia writes about the explosion in Yiddish classes, performances and new interpretations in recent years in Britain. View from a volunteer – Michele Klein. Shulamit Laderman shows how art enhanced the role of Moses in the Passover story; Rachel Dickson talks to artists Julie Held and Shanti Panchal. Lex van Delden writes about his father, of the same name, who after working in the resistance in Amsterdam, chose to compose in a modern yet tonal idiom. Nigel Jarrett writes about the difficulties facing a non-Jewish author who wishes to write on Jewish topics. Janet Levin with a few gems from the 2007 Jewish Book Week in London. Naomi Lightman on the change in attitudes towards Amy Levy’s Reuben Sachs. Book reviews: Samir El-Youssef’s The Illusion of Return; Jonathan Wilson’s A Palestine Affair; David Maine’s The Book of Samson; Marina Benjamin and Naim Kattan’s books about life in Iraq; Victoria Glendinning’s biography of Leonard Woolf; the Encyclopaedia Judaica Second Edition; and Voyage by Adele Geras. Liz Cashdan selects poems by Miriam Hancock, Jennifer Langer and Miriam Halahmy. A taste of Ethiopia: Passover food from Barbara Ribakove Gordon and a Shabbat meal from Marlena Spieler. Amharic and Hebrew – Geoffrey Ben-Nathan. ‘Jewish’ should be an ethnic category argues Golda Zafer-Smith. Zygmunt Bauman, the world famed sociologist, interviewed by David Russell. Judi Herman talks to Josh Baumabout the work of the Torah scribe. Eliane Glaser on the Jewish practices of Christians in 17th-century Britain. A minority of minorities: Heidi Laura on the Contemporary Communities and their Roots. The Jew's of Denmark's Golden Age: Harriet Lyall on links with Kierkegaard and Hans Andersen. Literary celebrities: Meir Aaron Goldschmidt, Georg Brandes and Henri Nathansen. Wartime rescue: Joanna Newman on a miraculous escape. The right things to do: Sandi Toksvig tells a family story: ‘Enemy of the Fatherland’. Ruth Beloff on the life of Victor Borge. The Henriques and Melchior families: two famous dynasties. Meeting the machers: Janet Levin meets Stefan Izaak, community president in Copenhagen and Sandra Kviat, trainee rabbi, in London. Art to be decoded: contemporary Jewish artists in Denmark: Tal R, Thomas Poulson and Jeanne Goldschmidt Kempinski. For visitors: information on sites and food. Mitzvah museum: the Libeskind designed Danish Jewish Museum. Jane Krivine tells of her father’s mission to get Arab and Jewish chilldren playing together. So what is Jewish theatre? Deborah Freeman attends a theatre festival in Vienna. Alexander Knapp on Ernest Bloch and his ambivalent attitude to his Jewish identity. Malcolm Miller explores the role of the shofar on the classical platform. Marge Eiseman on contemporary religious music in America. Monica Bohm-Duchen sees the newest monumental works of David Breuer-Weil. Angela Levine views an exhibition paying homage to Israeli cartoonist Dosh. Diane Lukeman visits Sacred, the British Library exhibition. David Herman reviews Mike Gold’s Jews Without Money; and Maureen Kendler on Anglo-Jewish writing in the 1950s. Book reviews: Charlotte Mendelson’s When we were Bad; Philippe Grimbert’s Secret; Walter Isaacson’s Einstein; Ruth Ellen Gruber’s Jewish Heritage Travel in Eastern Europe; and Boy in the Striped Pyjamas by John Boyne. Liz Cashdan selects a poem by Wendy Barford and reviews The Music of the Prophets by Michelene Wandor. Nitza Felix visits Beit Lechem Bagalil. A taste of Denmark from Heidi Laura. The links of Hebrew and English – Michael Gillis. Readers respond to Golda Zafer-Smith’s plea that ‘Jewish’ should be an ethnic category. Ros Abramskyon the Oxford which is home to services from Orthodox to Liberal. Abigail Wood explores Orthodox women’s creativity in song; Judi Herman interviews artist Gitl Braun; and Golda Zafer-Smith talks to artist Anna Finchas. History of the Jews of Vienna from the Middle Ages to the present. Anschluss: first-hand memories by refugees Otto Deutsch and Stella Mann. Why so talented? Philipp Blom explains the reasons for the phenomenal Jewish contribution to Viennese and European culture. Stephan Zweig on Theodor Herzl. The impact of the new concept of Zionism on the Jews of Vienna. Salomon Sulzer: Malcolm Miller on the Father of Synagogue music and one of the greatest cantors ever. The Korngolds: father and son, both composers. Freud's Jewish community: Stephen Frosh on the unexpected community links of the religious sceptic. A community with a future: Doron Rabinovici paints a picture of the new Jews of Vienna. In Vienna now: Janet Levin talks to Chief Rabbi Chaim Eisenberg, Warren Rozenzweig of the Jewish Theatre of Vienna, actress Inge Maux, historian Eleonore Lappin, editor Joanna Nittenberg and student leader Yvonne Feiger. Restitution at last: Janet Levin on the latest situation regarding the return of stolen property. Young Austrians make amends: Irene Newton attends an anniversary at the London Jewish Cultural Centre. The ephemerality of history in holograms: Ian Lancaster on the unique use of holograms in Vienna’s Jewish Museum. For visitors: practical Information on Jewish Vienna. Judi Herman talks to Julia Pascal, Arnold Wesker and Henry Goodman on whether and how the Merchant of Venice should be presented to a contemporary audience. Judi also talks to Candida Cave, author of Lotte’s Journey, the new play about Charlotte Salamon and Alfred Urhy who wrote the play on which the hit musical Parade is based. Plus Golda Zafer-Smith talks to Hannah Eidinow about Coflicts and Confrontations. Angela Levineon the changing face of feminist art as shown in a recent Haifa exhibition. David Herman on Portnoy’s Complaint and its impact. Maureen Kendler reviews British-Jewish writing in the 1960s, including the work of Bernice Rubens and Muriel Spark. Book reviews: Sarah’s Key by Tatiana de Rosnay; Exit Ghost by Philip Roth; Antisemitism: The Generic Hatred; Motifs of Curaçao by Suzanne Perlman; and My Guardian Angel. Barry Davis reviews All My Young Years, a collection of poems by Avrom Stencl. Plus Liz Cashdan selects a poem by Wendy Barford and reviews The Music of the Prophets by Michelene Wandor. Melody Amsel-Arieli tells of the lives of her ultra-Orthodox women pupils. Viennese bakery: Tomi Komoly finds the recipes for linzer torte and sacher torter that he used to help his grandmother make. A Little Meshuggas by Julian Sinclair, author of Let’s Schmooze. Janet Levin profiles Eva Hoffman, the writer who so precisely expressed the trauma of migration and the second generation experience. Choosing to be Jewish: Rob Mason gives a personal and not wholly positive view of the conversion experience. 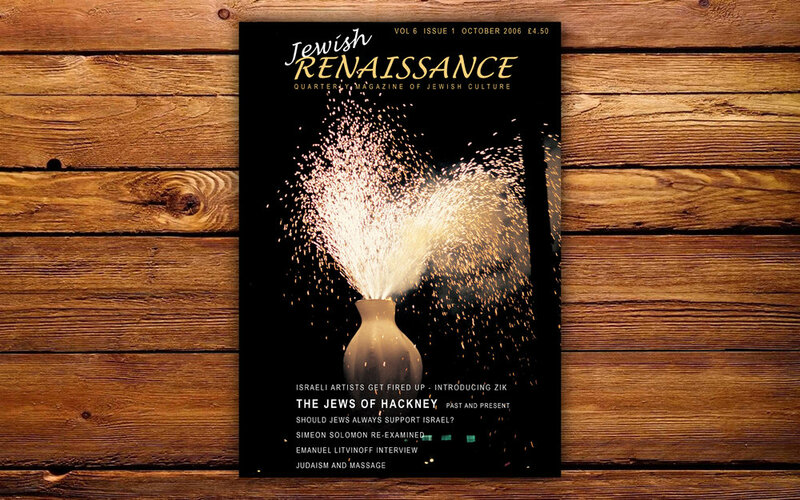 Joanna Newman reports on a debate about what happened 350 years ago at the Westminster Conference and asks whether the Jews were really welcomed back to Britain. Rabbi Shmuley Boteach exults in Jewish permissiveness. Frank Gent introduces today’s communities in Devon and Cornwall. Erica Gordon traces the history of the communities from medieval times and reveals some amazing personalities. Plymouth synagoguge: the story of the second oldest synagogue in the UK and one of the most beautiful. A tribute to Benny Goodman: Anthony Aggiss on the seaman turned community leader. Intellectuals invade Ilfracombe: Helen Fry reports on an unexpected wartime community in North Devon. Tu Beshevat in Totnes: Thena Kendall tells Matthew Rosen Marsh how she set up a new community. Find out more: further reading and contact details for the communities and the old cemeteries. Benny Bailey talks about his work supporting family workers in the Arab community. MUSIC Judith Kuhn looks at what was behind the Jewish elements in the music of Shostakovich. Gabriela Pomeroy talks to the Jerusalem and Aviv quartets. Laoise Davidson joins the diverse audience at Matisyahu’s first London concert. Judi Herman talks to architectural glass artist Jude Sovin about her radical new design for the windows at Edgware Synagogue. Plus Sharman Kadish on the history of the use of stained glass in British synagogues; and Sarah McDougall and Rachel Dickson on the life and work of Jacob Epstein. To accompany a major retrospective of the work of the foremost Israeli artist, Menashe Kadishman, Angela Levine explores his preoccupation with sheep. Reviews of the festival films that are touring Britain. A survey of recent works on the Holocaust and a chronological history of the Dreyfus affair. Book reviews: Matches by Alan Kaufman; Two Lives by Vikram Seth; Beware of God by Shalom Auslander; Disobedience by Naomi Alderman; Anglo-Jewish Poetry by Peter Lawson; and Once by Morris Gleitzman. Liz Cashdan selects poems by Derek Reid, Pamela Lewis and Teresa Turk and reviews collections by Tom Berman and Lotte Kramer. Stephanie Segal looks at cookery traditions from Italy eastwards and gives a Greek recipe for Hamen’s Ears. Greek Gleanings – Michael Gillis. Gavin Gross, Michal Hasson, Hagit Mendellevich and Nonie Darwish. Poznan Festival, Jewdas and ‘Our Brick Lane’. Michael Kustow and friends: the theatre and television director talks revealingly to Golda Zafer-Smith about himself and close friends, Harold Pinter and Peter Brook. A young woman, who had a Muslim father and a Catholic mother, tells why she embarked on an Orthodox conversion. Michele Klein traces the history of Jewish pilgrimage from its origins in Biblical times to contemporary Jewish journeys. Cecil Bloom on Sarah Aaronson, the young Israeli woman who died working for British Intelligence. Schooled to be outsiders: Cheryll Berrebi on the influence of the Alliance Israelite Universelle. Scratch a Berber… Bruce Maddy-Weitzman tells how intertwined is Berber and Jewish history. Artefacts to be proud of: a few of the wonderful costumes and pieces of jewellery that have been lovingly conserved by Paul Dahan. Andalusi music: Hilary Pomeroy describes the origins of a genre of music that came from Spain to Morocco and is now a contemporary hit. Traditions like nowhere else: Yvan Berrebi on customs particular to Morocco. Hilloula: Cheryll Berrebi meets a family of contemporary pilgrims in southern Morocco. The strange story of the Jewish saint who became a snake: Carol Shields was with the Jewish Renaissance group that met the last Berber Jew in Ourika tending the tomb of a saint. Find out more: websites, books and community addresses. Simchat Torah in Fez: Golda Zafer-Smith on a very special celebration of the festival. Meeting in Marrakech: Jacky Kadoch, the head of the Marrakech community talks to JR visitors. View from the diaspora: Sydney S Assor on the very special feeling Moroccan Jews have for the place of their birth. André Azoulay: Yvan Berrebi finds out about the Jewish banker at the Moroccan court. Malcolm Miller on Golijov, the Argentinean composer who has been hailed at the first great composer of the 21st century. Judi Herman on the finalists of the Alix de Rothschild competition. On the occasion of an exhibition of the work of Boris Schatz, Angela Levine reveals how, since he founded the Bezalel Academy of Arts, Israeli art has changed according to political and social realities. Monica Bohm-Duchen on the work, life and Jewish journey of Glenn Sujo, who was also warden of West London Synagogue. Janet Levin previews three world premières. A taste of the Jewish Book Week sessions and reviews of the latest books by David Grossman, Linda Grant and Adam Lebor, and Imre Kertesz (reviewed by eminent poet George Szirtes). Book reviews: Journey from the Land of No; Writer at War; The Jewish Community of Salonika; Jewish Resistance in Wartime Greece; Tea with Einstein; and Hitler’s Canary by Sandi Toksvig. Liz Cashdan chooses from readers’ submissions and Michael Baron reviews The Same Country. A taste of Morocco with Claudia Roden recipes. View from an agronomist – Gerry Kelman. Be a fool and you'll win – Yvan Berrebi. Usually putting herself in the background while she interviews others, eminent writer Linda Grant reveals much about her own background, values and Jewish identity to Beverley Cohen. Antismitism - are we overreacting? Antony Lerman and Golda Zafer-Smith give different views. Judi Herman reports on an unusual conference in London where athropologists, sociologists and historians give a new slant on Jewish consumerism. The best jokes about Jews and money. Jack Lukeman summarises the history of this mainly sephardic community and looks at the controversy about who saved the Bulgarian Jews. Russe: Elias Canetti's description of his boyhood and Milena Borden's 1996 visit to the place of his birth. So far from Spain: Tilda Molho on the endurance of Ladino. Welcome for a baby: Luiza Molho on a delightful custom that endured the communist years. Renaissance: Ema Mezan describes the remarkable resurgence in community activity post-1989. A new world opening: Tilda Molho, who was 13 in 1989, describes what it was like to find out about her heritage. For visitors: contact details for synagogues and community centres. Cecil Bloom explores the origins of the mourner's kaddish, the best-known of Jewish prayers. Miriam Brill gives a insight into the workings of a multi-ethnic social work department at Haifa University. David Russell talks to four comics who will be in Edinburgh this year. David Russell reviews an unusual film about school children in America’s heartland finding out about the Holocaust. Laoise Davidson talks to the Israeli singer Mor Karbasi who writes her own Ladino songs. Malcolm Miller on the life and works of composer Joseph Horovitz, as well as reporting on the debut of American singer Laurie Rubin and on her sponsor, the Kohn Foundation. Angela Levine gives the background to artists Avigdor Arikha and Tamy Ben-Tor whose work is currently on show in London. Philip Vann reviews the life, philosophy and work of naïve artist Dora Holzhandler. Monica Bohm-Duchen explores just how Jewish was the artist who now has a major exhibition at the Royal Academy. David Herman kicks off a new series on Jewish classics with a review of Call it Sleep by Henry Roth. Plus the winning poems in the JR competition – Aspects of Jewish Identity 2006. Book reviews: Kalooki Nights by Howard Jacobson; A Woman in Jerusalem by AB Yehoshua; The Orientalist by Tom Reiss; books about Lithuania, Cuba and the East Europe of klezmer; re-issues of three of the most important books relating to the Holocaust; The Sephardic Songbook and its publisher Peters Edition; and Home Number One. Liz Cashdan selects poems by Rhoda Hodes and Jo Ezekiel from readers' submissions and reviews a new collection by Michelene Wandor. A taste of Bulgaria: Luiza Molho describes typical Jewish Bulgarian cuisine and gives some recipes. Michael Gillis on a word that is difficult to pin down. Simcha on the square, at The City Lit; movers and shakers; Ark launch in Prague; and who is reading JR? Report on JR Baltics tour and new tours coming up. Jews should always support Israel: Clive Lawton supports the motion, while Brian Klug opposes. THE JR INTERVIEW Writer Emanuel Litvinoff talks to Golda Zafer-Smith. Len Goldstone discovers massage has a long tradition in Jewish life. Melvyn Brooks gives the key dates and describes the Jewish history of Hackey Downs School. Victoria Park: the Yiddish street song. Alan Kane: Norma Cohen talks to singer Gloria Kane about the career she shared with her famous brother. Formative years: the Hackney years of Alexander Baron, Harold Pinter, Arnold Wesker, Marc Bolan and Helen Shapiro. A world apart: Janet Levin asks Melanie Danan some searching questions about the charedi community. Marching in the opposite direction: Felicity Ellis remembers gentle extremist, Jack Tendeter. The radical alternative: Gail Chester writes about the innovative secular and progressive communities. Why I chose to live here: Jonathan Freedlandon why his home is now in Hackney. Barry Davis on two Milken recordings. Angela Levine writes about the Israeli performance art group Zik, whose materials are fire and ice. Plus Julia Weiner on the Jewish work of Simeon Solomon, whose career was destroyed by an intolerant society. Preview of UK Jewish Film Festival 2006 and review of Sixty Six by Judi Herman. Donald Weber on the up-and-coming American Jewish writers. Plus Edna Nahshon on Israel Zangwill and his greatest work. David Herman criticises Soviet and Kosher, a book about the Ersatz Jewish culture introduced by the Soviet regime and author Anna Shternshis responds. Book reviews: Colin Shindler’s The Triumph Of Military Zionism: Nationalism And The Origins Of The Israeli Right; Sweet and Low by Rich Cohen; The Earl of Petticoat Lane by Andrew Miller; Death of a Monk by Alon Hilu; and a list of books appreciated by our young reviewers over the past two years. Liz Cashdan chooses poems by Joan Michaelson and Marylou Grinber; and Michael Baron reviews Wanda Barford’s new collection. Janet Levin reviews Jewish Traditions by Marlene Spieler and The Jewish Princess Cookbook by Georgie Tarn and Tracie Fin. Plus jokes about food submitted by Alexander Newton and Annette Halfin. View from Haifa: Miriam Brillon the impact of the recent attacks. Michael Gillis on the influence of Latin on the Hebrew language.